June 29, 2016 June 20, 2016 by Beau H.
Editor’s note: Check out the following link to catch last year’s Fourth of July style suggestion. It seems as if just yesterday we were talking about what to wear on Memorial Day — and here we are, now talking about what to wear on the 4th of July. Time flies, right?? The 4th of July is often a sort of “style perfect storm” of sorts — it’s likely pretty hot out, there’s the potential to be moving from one activity to the next (swimming at the beach followed by patio drinks, anyone?) and you very well might have to travel just to do all that. 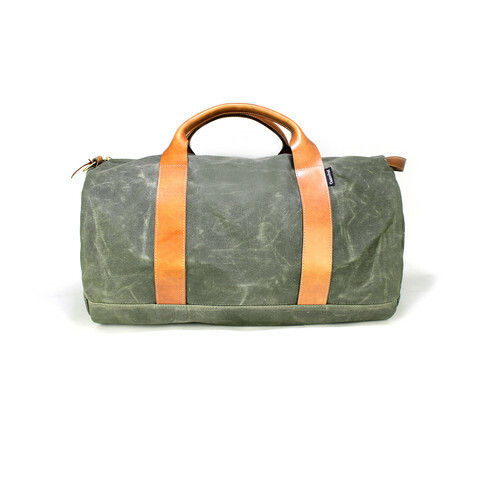 So, first things first — cover off on that stylish weekender bag to get you where you’re going. Maybe fill it with some nice men’s grooming products, too? Now that that’s taken care of, we’ll head onto the below outfit suggestion — it’s all about staying cool and stylish, versatile and ready for anything. If you have any other summer style questions or thoughts, let me know via The Style Guide Facebook page. Enjoy the day, and thanks for reading! 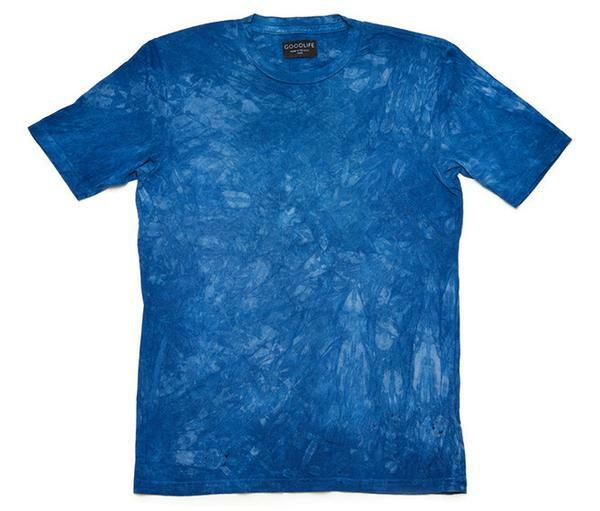 A collab between two brands that emphasize American manufacturing results in one heck of an indigo tee. So, $72 isn’t exactly the cheapest T-shirt on the market. But when you’re going to be rocking a T-shirt in place of a slim polo, you’d better grab one that’s eye-catching, slim-fitting and very well-made. It’s definitely an aspirational sort of purchase, but if you’re able to get your hands one, your wardrobe would be all the better. The indigo dye (a nod to the U.S.A!) is rich and very unique, for one. 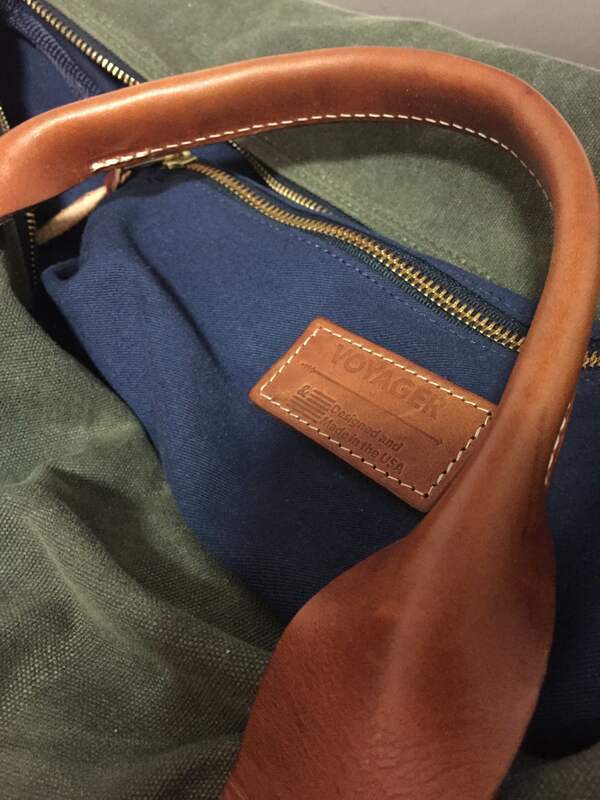 Plus, it’s actually made in America — something that’s still to be applauded in the menswear manufacturing game. Toss on a lightweight jacket if it gets breezy, but know that this tee has you set in style in the meantime. A classic pair of chinos at a tremendous price. We’re going with the ever-versatile JackThreads Slim Chino here, because it always pays to have a crisp pair of khaki chinos on hand, no matter the style situation. These chinos would work for travel style (whether it’s across the country or just across town), and with a little care, you could probably wear them again in the same weekend — again, watch out as you man the grill. The price is stellar, the fit should be flattering for lots of guys out there, and you can rock that color for months at a time. Timeless sneakers that work well in terms of color and styling potential. What’s more American than khaki chinos and an indigo tee? A great pair of lifestyle sneakers from an American original, that’s what. Pairing multiple shades of blue might seem like a risky style move at first, but it’s one that pays off when you consider the rich navy’s contrast against the lighter indigo dye. 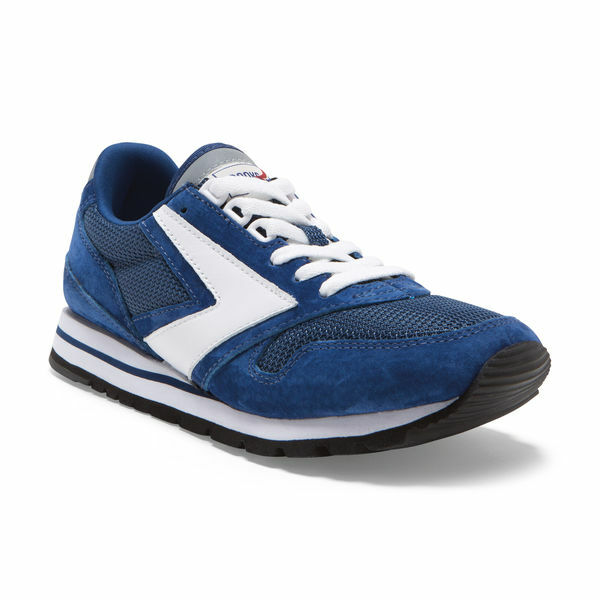 The blue-and-white color is a nice, subtle style nod to the holiday, and having checked out a pair of Brooks Heritage Chariot Sneakers myself, I can tell you they’re every bit as comfortable as the brand’s first-class running shoes — with more style points, too. 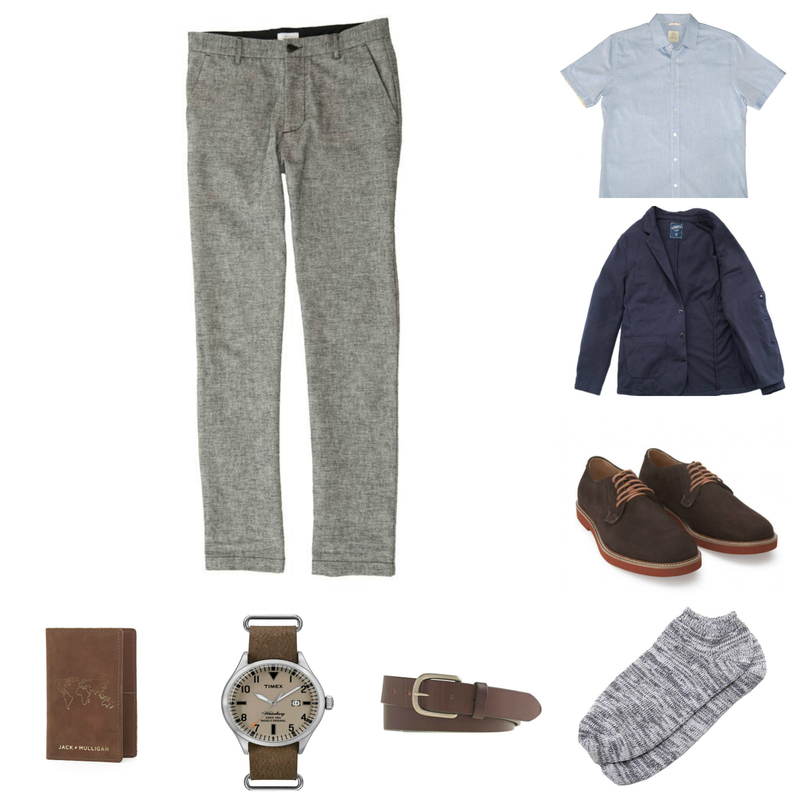 They work well with the casual chinos, yet you could still class up this combo with a crisp chambray shirt if need be. Red-and-blue socks make for a touch of patriotism paired with functionality. Although these no-show socks are designed to, well, not show, it’s still wise to grab a pair that incorporates seasonal colors and a good deal of comfort. You can read more about these guys in my post on classic no-show socks for summer, but rest assured that Pair of Thieves makes socks that are comfortable, well-fitting and stylish with a bit of an attitude. 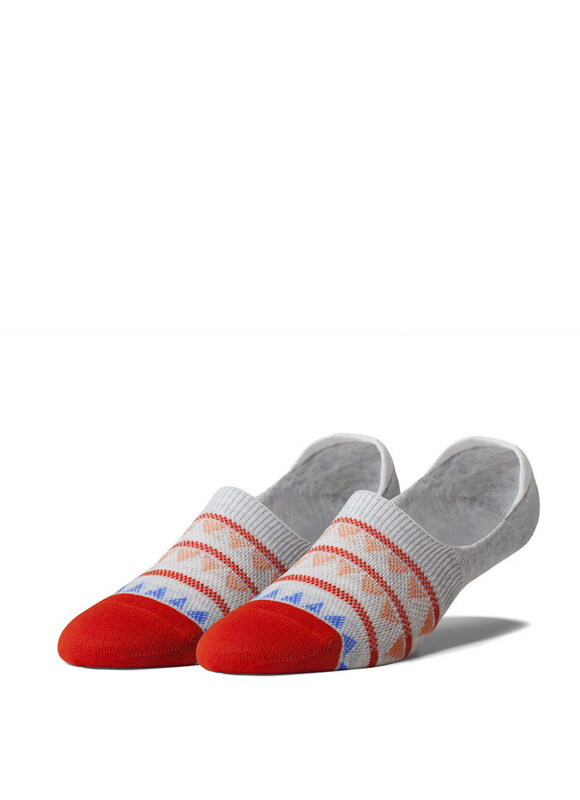 Even if not many people see your socks, that’s definitely something they’ve got going for them; and at that price, you can pick up a few pairs without straining your bank account too much. Just the right weight, color and texture for spring and summer. When packing for travel (or dressing everyday), it can be a bit of a practice to take care of things right down to the last detail. In this instance, that means not forgoing a belt. But we’re not just using any ole’ number to hold up those slim khaki chinos — this J. 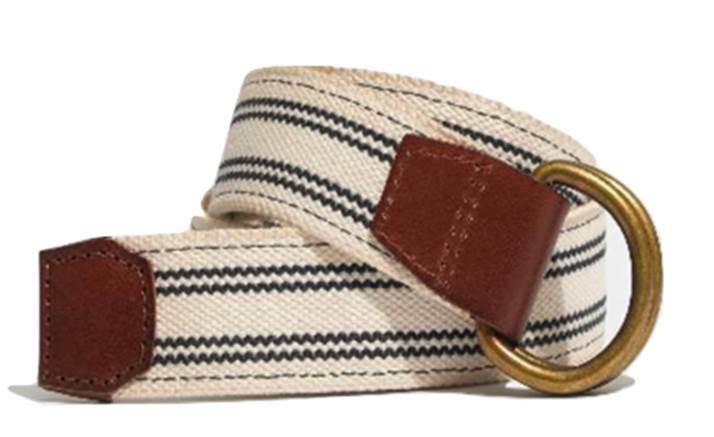 Crew Factory belt combines some nautical vibes (the D-ring loop and double-striping) with a textured white cotton that looks all kinds of right up against the lighter blue shirt and navy sneakers. It’s simple style touches that make a big difference, and if you’re into that, here’s a spring and summer belt for you. Premium Horween leather meets a tough, dependable watch. This superb and stylish watch-and-leather strap combo, sold via the great folks at Huckberry, definitely gets a lot of things right on the dual style-and-functionality front. For one, the watch plays off the classic Timex Weekender by adding in a few more bells and whistles (not a ton, though). For another, the combination of a black dial with a rich brown leather Horween strap is a handsome combination that stands out stylishly with a plain pocket tee and dark blue denim during the rest of the summer. That means in this outfit, it’s a downright stunning accessory. Downright cheap, simple and stylish — not bad for under $30. If you couldn’t just by looking at ’em, the Knockaround Fort Knox Polarized Sunglasses pack a heck of a lot of style into one exceptionally well-priced package. 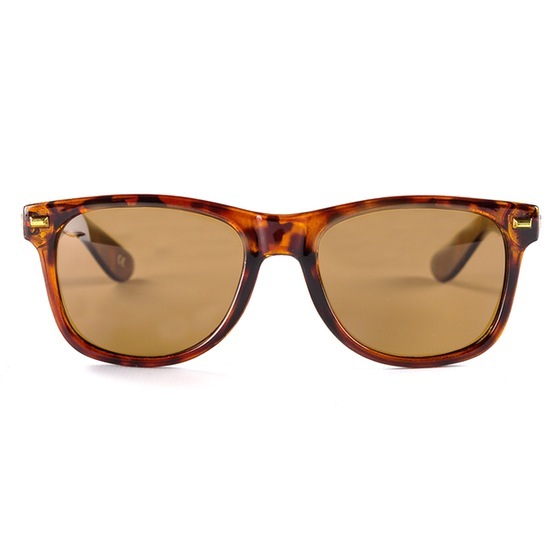 It’s perhaps one of the accessories for which Huckberry is so well-known; they’re definitely not your average pair of shades, that’s for sure. The lenses are polarized, and the frames are injection-molded for extra durability — that’s exactly why they’re worth quite a lot more than roughly $30. While they didn’t make this site’s list of the best men’s sunglasses to buy for summer, they’re a very worthy honorable mention, and quite the pair to bring with you for the 4th of July. Meeting such a patriotic holiday in style is a lot like dressing for any other holiday, be it St. Patrick’s Day or Christmas. That means nodding to the time of year — in this instance, mixing some red and blue — while working in both some more forward moves (like rolled chinos) and timeless classics (like a stylish leather watch). Crisp sneakers and durable shades work to finish it all off, too. Of course, this time of year is about more than what you wear — it’s also about taking time with family and friends and being thankful for this great country we live in. However you do that, I salute you and wish you the best in style. Join the style discussion over on Twitter, or follow along via Instagram. June 28, 2016 June 23, 2016 by Beau H.
When the heat waves start to roll in, it can be a tricky time to try and dress well. There’s that ever-difficult balance between keeping your cool and looking cool that requires you mix things up a bit. In the case of today’s post, that means we’re talking how to wear a chambray blazer. It’s the lightweight alternative to the classic navy blazer, what with a rougher, more visually interesting texture and (usually) less internal construction. That means it looks more natural when paired with other casual menswear pieces, such as a simple T-shirt and twill pants. It’s a get-up that nods toward a trend (that would be the menswear world getting more and more casual by the day), yet you still look crisp and put-together. As you’ll see with the below #OOTD, it’s a look you could even pull off as you dress for summer travel. So with that being said, get to reading below. 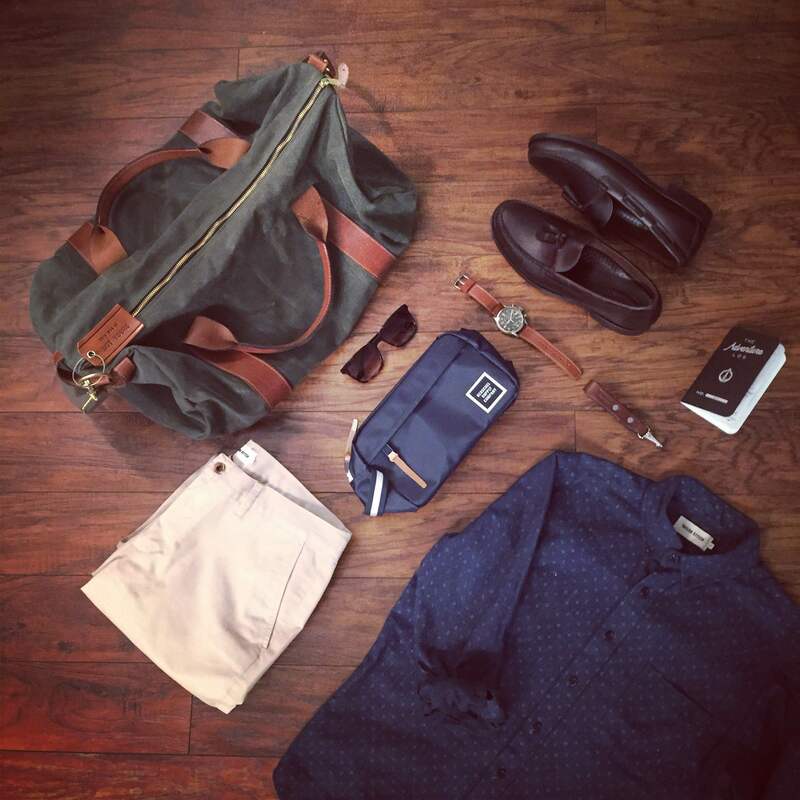 For more #menswear inspiration, check out yours truly on Instagram, or swing on through Facebook for a daily briefing. An effortless mix of casual and cool — a chambray blazer plus a simple striped tee. The Blazer: JackThreads Chambray Blazer, $79: A chambray blazer for just $79? Believe it. Slim, stylish and well-made, from a brand that just gets things done. The T-shirt: Bourbon and Blue Surfcomber Heathered Red Stripe Tee, $55: If you’re going to rock a tee under a blazer, it’s best to pick up one that’s comfortable, well-made and trim-fitting; warm weather stripes don’t hurt, either. 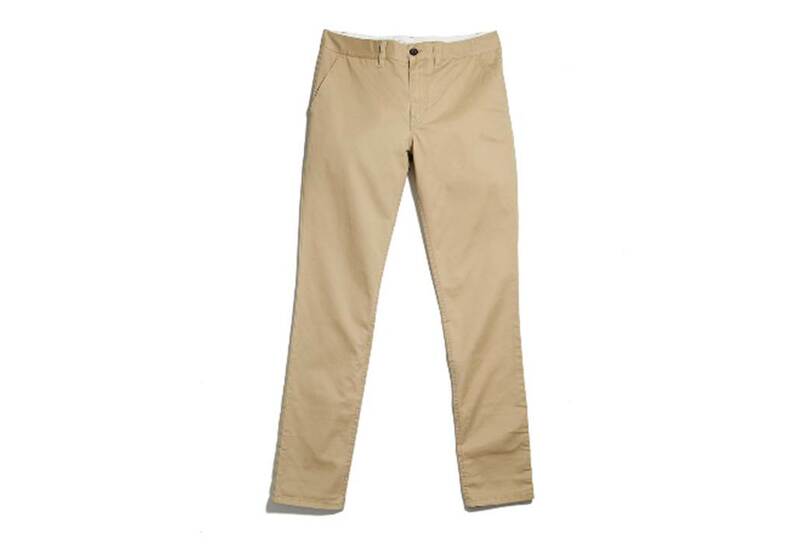 The Pants: Old Navy Ultimate Slim-Fit Khakis, $29: While the color of the chinos in that particular picture is lighter than the pair on Old Navy’s site, the principle remains the same — slim khakis fall in line with that trim blazer and tee, and can be easily rolled to show off those sneakers. 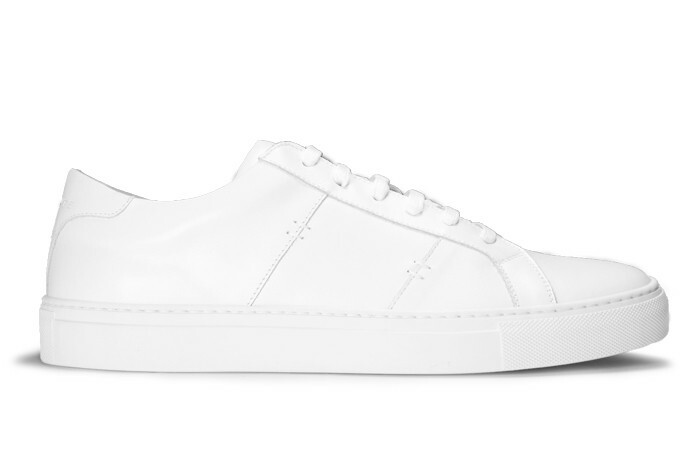 The Sneakers: GREATS Pronto in Cadet, $199: GREATS does, well, a great job at producing versatile, comfortable sneakers that are easy to wear with high-low style combos like a blazer and tee (Italian manufacturing just does that). The Socks: J. Crew Anchor No-show Socks, $10: Stylish no-show socks are an absolute summer must, and these add another subtle, nautical touch to the outfit while keeping your feet cool. The Belt: J. Crew Factory Double-striped Webbing Belt, $14.50: As much as it’s popped up in a few recent #OOTD posts (including this post on how to wear a short-sleeve shirt), it’s a highly versatile casual belt that adds some nice color to this ensemble. The Watch: Timex Weekender Fairfield, $75: Timex watches are as solid as they get, and this particular timepiece is suitably refined enough to heighten that blazer-and-tee combo just a bit. The Accessory: Cambridge Satchel Oxblood iPhone Case, $32: So not everyone still has an iPhone (just me? ), but regardless of what phone you’ve got, it’d be a neat touch to finish off your everyday with a rich leather phone case. Does that check all the boxes of dressing sharply in warm weather? Well, mostly. If you feel a tee is too casual, you could always swap in an essential chambray shirt or a classic blue Oxford. But the best part about pairing a tee with a chambray blazer is the combination of effortless style and comfort it gives you. It’s an on-the-go style move that meets the warm weather while looking cool and sharp. Plus, it works well when paired with a classic set of navy sneakers — a more comfortable answer to brown leather wingtips, for starters. And crisp accessories, like a lux leather phone case and a dependable watch, are going to be by your side (and on your wrist) for plenty of outfits in the future. Even starting gradually (swapping out denim for twill pants and upgrading to a lighter chambray blazer) can be a step in the right direction. Still unsure? Give it a try –it might become a go-to style combo. Are you sold on the idea of pairing a blazer with a striped tee? What about sneakers? Let me know in the comments! June 27, 2016 June 27, 2016 by Beau H.
Editor’s note: Head this way for more personal style posts. Dressing in style to see one of my favorite bands, Lucius, in the lovely town of Pawling, N.Y. Natural Trucker Jacket by JackThreads. Slim short-sleeve striped chambray shirt by JACHS NY. Slim grey selvedge denim by Billy Reid. Grant Brown Nubuck Shoes by Soul36. Brown leather watch by MVMT Watches. Glasses by Warby Parker. As I wrote about during my recap of the 2016 Governors Ball music festival a few weeks back, music is a huge passion of mine outside of my day job (and writing The Style Guide, of course!). That goes for live music in and around NYC, particularly. 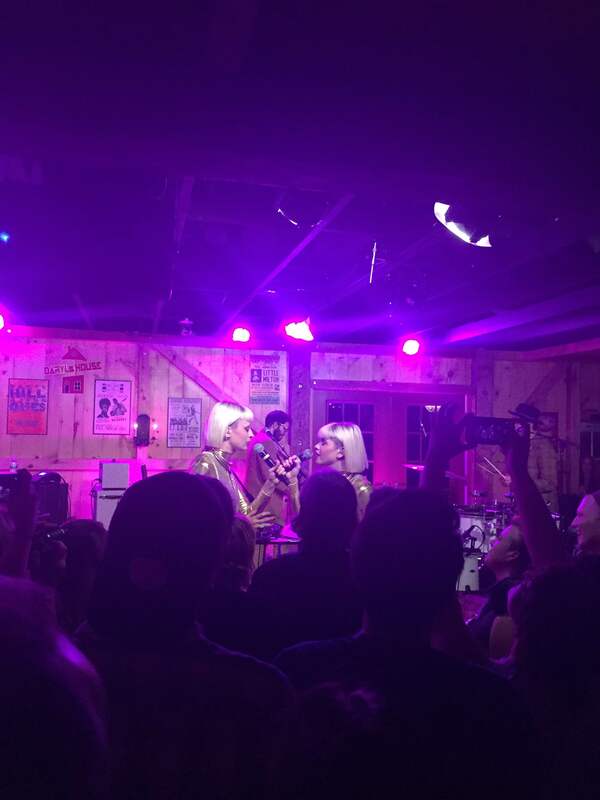 So, when I saw that one of my favorite acts of all-time, the indie-pop band Lucius, was playing a small show at Daryl’s House Club in the small town of Pawling, N.Y., I knew I had to hit the road once again — more on the evening in a second, but know that the show was fantastic. Of course, going right from the office to a train to a concert is no matter to be trifled with, so I met the occasion in style (click here for more summer travel style tips in the meantime). Now, if you’re unfamiliar with Lucius — please fix that (only partially kidding). Berklee College of Music grads Jess Wolfe & Holly Laessig are a duo unlike any other, complemented by a great three-piece band and their blend of indie pop is infectious, melodic, innovative and in short, like nothing you’ve ever heard. They burst onto the scene with their debut album Wildewoman in 2013, which garnered heaps of critical acclaim from critics and fans alike (particularly after they performed a very neat Tiny Desk Concert at NPR). Songs like “Until We Get There” immediately struck a chord with me as well — I was hooked from the first time I heard them! The success of their first album and the resulting acclaim led to an extensive tour run — in fact, I had the pleasure of catching them at Outside Lands in 2014 — and all the while, they blew audiences away with a melodic stage show, ornately designed and coordinated stage wear(more on that in a second), and a refreshingly honest approach to life as seen through music. Seriously — please check them out. An intimate evening at Daryl’s House Club in Pawling, N.Y. with the lovely ladies of Lucius. And the release of their second album, Good Grief, brought them back out on the road again earlier this year — including the stop in Pawling playing to an enthralled crowd as seen above. On that note, the night’s opening act, the lovely Margaret Glaspy, is also worth a listen. Now, I’d already caught one of two NYC shows Lucius played (at the Music Hall of Williamsburg on a great Thursday night), so my expectations were quite high this time around. Musically, the group’s second album evolves their style and blends some 80s rock influences with the lilting, retro-leaning songs for which the group is known (the two best examples of this contrast are perhaps “Born Again Teen” and “Dusty Trails” — both excellent songs in their own right!). Given that they’ve toured the globe, played festivals and wowed more than 1,000 people earlier this spring at Webster Hall in NYC, it was a treat to know that the atmosphere at Daryl’s House Club would be much more intimate (roughly 200-person capacity). The venue doubles in part as a bar and restaurant, making it even more unique. Of course, that’s no less of an excuse to dress in versatile style, right? Concert-going often calls to mind lots of black slim denim, tough boots and maybe a denim jacket, but there are just as many ways to dress for a concert without going that route. 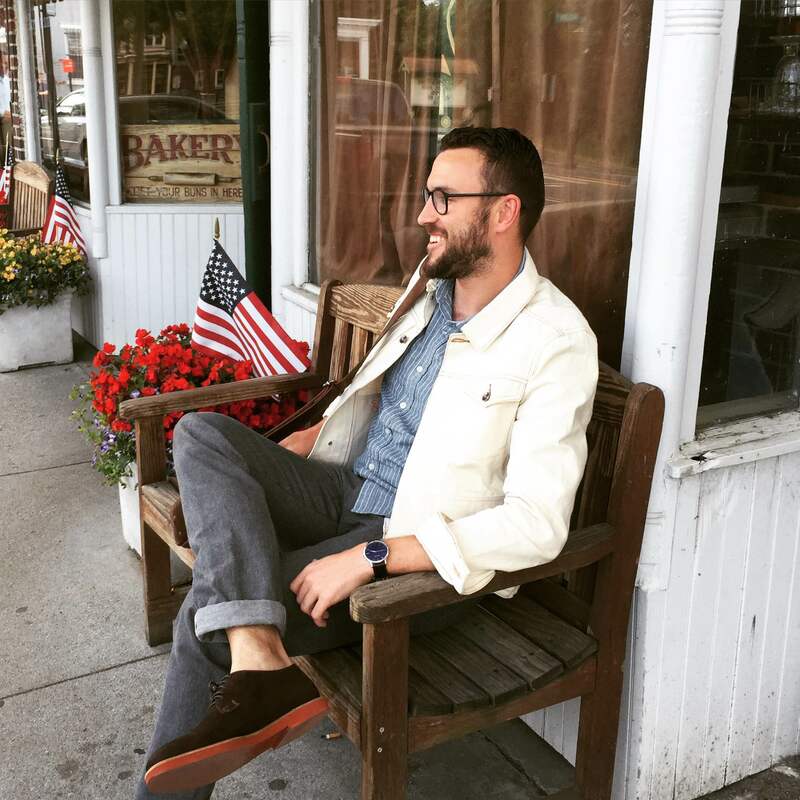 To go from my NYC office to the quaint town of Pawling, I grabbed my JackThreads Natural Trucker Jacket and a slim short-sleeve chambray shirt via JACHS NY, along with my durable Satchel & Page Slim Mailbag to haul my gear. The color of the Natural Trucker Jacket is a welcome change of pace from a dark denim jacket, and the short-sleeve chambray shirt is a slightly more dressed-up approach compared to, say, a slim short-sleeve henley (although that would also work here). And given that the stage style of Lucius is eclectic, unique and often tailored (right down to the coordinated yellow blazers worn by their band), it seemed fitting to wear a collared shirt — style upgrades are in the details, after all. I paired that combination with some trusty slim grey selvedge denim from Billy Reid, another style swerve compared to the black or classic dark blue denim — I’d recommend keeping things slim and tailored when rocking denim to a show. On the footwear front, I paired up that high-low style combo with the comfortable, lightweight Soul36 Grant Brown Nubuck Derby — of course, no-show socks were essential to finish off the outfit. It’s yet another change of pace from normal footwear found at concerts, but the shoes were comfortable and easy to stand in, and the small space at Daryl’s lent itself to a more relaxed footwear choice. And I capped off the outfit with my brown leather MVMT Watches timepiece, a crisp-yet-casual watch that lent itself to the colors of the outfit nicely thanks to the blue dial. With all that gear in place, I hit the road from work to Pawling, and had just enough time to swing by the Corner Bakery for a tasty afternoon iced coffee. The town itself is small, quaint and worth a trip if you fancy a getaway from NYC. Given that it can often be hectic trying to travel in style and get to a destination on time, it was worth the trip to have the opportunity to explore the town before the show — of course, my main focus was the upcoming performance! And the show itself — absolutely stunning (catch the above video to get a sample of their live work). Again, the group was perfectly complemented by the blues rock of Margaret Glaspy, which got the crowd ready for a stunning night. 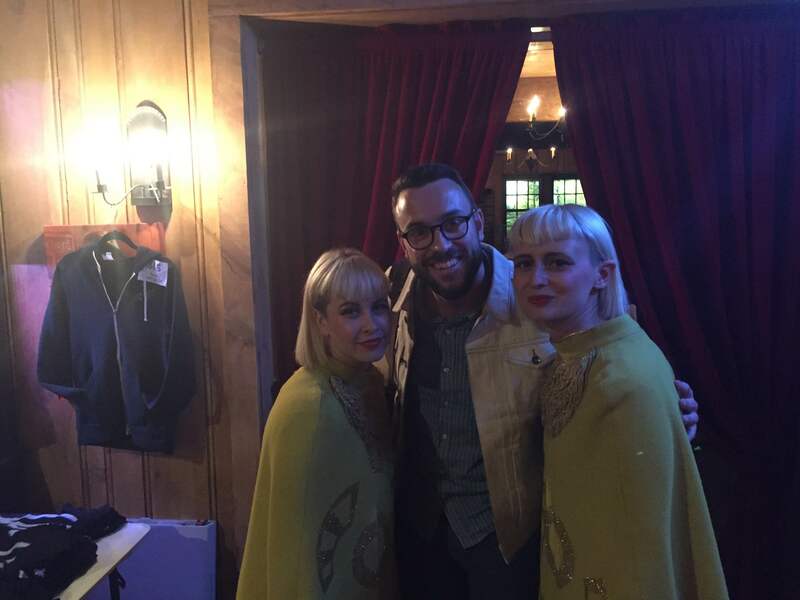 Lucius opened with “Madness,” a powerfully rich song off of Good Grief, thrilled the crowd with “Tempest” and picked things up with “Almost Makes Me Wish For Rain,” a jaunty tune that merges an eclectic beat with the rich harmonies of Jess and Holly. The versatility in their set list really is something else, what with slower tunes like “Dusty Trails” playing off more uptempo pieces like “Turn It Around,” another personal favorite. A mid-set outfit change led into a stirring second half of the show, including beautiful renditions of “Don’t Just Sit There,” “Go Home” and “How Loud Your Heart Gets,” just three selections off the stunning Wildewoman album — still a favorite three years after its 2013 release. The highlight of the night was a hauntingly beautiful rendition of “Two of Us on the Run,” one of my all-time favorite songs, which Jess and Holly sang while seated after reading a statement calling for peace, love and unity in the face of so much violence across the country. A better tribute, there couldn’t have been. And a better night and show? Not a chance. Jess and Holly make an incredible duo, the show spans an amazing selection of songs, the entire band plays like a well-oiled machine and their on-stage style (sequined gold jumpsuits and ornate gold capes for Jess and Holly, in this case), is a sight to behold. The topper to an amazing evening — meeting Jess Wolfe and Holly Laessig of Luicus, both of whom are extraordinary musicians and very nice, to boot! The evening would have been spectacular enough in its own right even if I didn’t get the chance to meet Jess and Holly afterward — but that capped things off perfectly! It was a pleasure and an honor to meet them — they’re extremely nice, and it’s so refreshing to find that out about the artists who so oftentimes soundtrack our daily lives. Their music means so much to so many people, myself included. I’m counting down the days ’til I see them again! I was also pleased I was able to make the trip without an outfit change from office to concert, but the real takeaway here is that Lucius is an extraordinary band worth your time and money if ever you get the chance to see them — to say the least! Do so in style, and I guarantee you you’ll have a night to remember. Have a question on how to take on your next event in style? Hit me up on Twitter or follow along on Instagram for all things #menswear. June 25, 2016 June 20, 2016 by Beau H.
Classic, reliable, wearable with anything, and a bit dressier than the classic canvas sneaker. 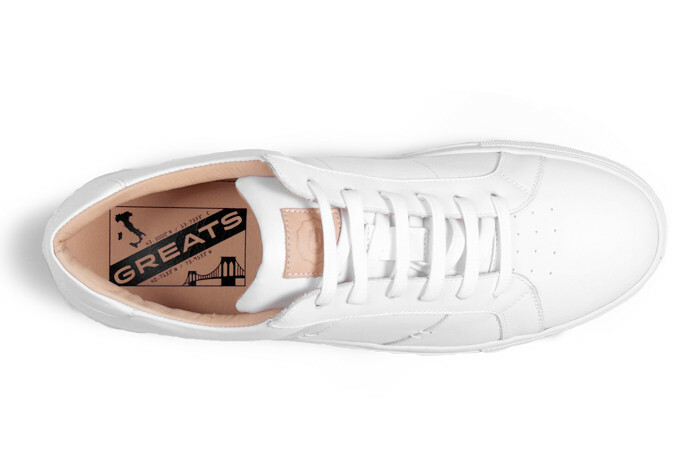 GREATS starts with details like rich full-grain Italian leather, and builds silhouettes that are affordable and high-quality. That, my friends, would be with a more daring combo — think rocking these guys with a textured blue chambray suit and white OCBD, or alongside some light grey chinos and that same blue chambray jacket for a great mix of tailored style. And when you mix and match other separates — like swapping in a white polo over the suit’s blue chambray trousers — you get an even more summer-ready combo; it’s not often that you find sneakers you can wear to brunch or the office, but these are just the ticket. Crucially, you get all this versatility for just $159 from GREATS, and the brand (if you’re unfamiliar) brings its knowledge of craftsmanship and quality to the table from start to finish. We’re talking full-grain Italian leather and waxed cotton laces, for starters. And if the GREATS Royale is anything like its other sneakers, it should be ridiculously comfortable, fairly easy to clean and long-lasting. You can’t ask for much more than that, can you? Do you own the GREATS Royale? How do you like ’em, and how would you wear them? June 24, 2016 June 24, 2016 by Beau H.
Although all weeks go by particularly fast around these parts, this past week was one for a bit (just a bit) of reflection amidst the hustle and bustle of NYC. I had the chance to catch up for some delicious patio brews and oysters with my good friend Clay Chambers of Brothers & Craft, who just returned from some momentous time abroad at menswear trade and runway shows in London, Paris and Milan (and in fact, you can catch more on Clay in a Style Guide Q&A). We took the time to catch up, to chat menswear and to take some time out from the grind — we find ourselves in different places a lot, but always reconnect. It’ was a great reminder to slow down every so often and take life in stride (even if the scenery is a bustling New York sidewalk). That helped cap off a busy week indeed, and I’m even more excited to finish off the work week with a special night at Daryl’s House Club (just a quick train ride from NYC), seeing one of my favorite groups of all-time, Lucius. Their music definitely reminds me to slow down and take things in, and even if it’s my second time seeing them, it should be just as special. I hope you get the chance to take some time, relax and enjoy the weekend — but not before checking out the Friday Read below (wink, wink). The ever-stylish team at Valet offers up 4 tips on how to style a blazer this summer; some of those combinations are absolutely perfect, don’t you think? (Editor’s note: For more tips on how to rock a blazer, click here). The equally style-minded team at Gear Patrol reports that American watch company Weiss will be launching the first watch featuring an American-made movement in a long time. Non-Style Note of the Week: We all love some Starbucks, right? Well, there’s a chance they could be underserving and overcharging you — a case is headed to court claiming that Starbucks is overcharging you for smaller lattes; not exactly a great value, ehh? On the lookout for more style content? The team at Taylor Stitch is back at it again with the seriously sturdy Transit Duffel — get all the details via my latest post at GearMoose. Add another collection to your list of “must-do” shopping — the Canvas by Lands’ End line is packed with style essentials, as I found out in writing a brand profile for the great team at The Manual! June 21, 2016 June 9, 2016 by Beau H.
One of the biggest steps in improving your style — whether you’re new to this whole #menswear game or digging in deeper — is making that extra effort to look great even when you’re off the clock. That could mean one of many possible situations, like dressing for Sunday brunch or prepping for a spring bar crawl, but given where we are on the calendar, it likely means you’re wondering how to dress for summer travel. It’s a curious task that can be a tall order — looking your best while on the road means dressing sharply, staying comfortable and finishing off your kit with excellent accessories, like one of the best dopp kits for men (written by yours truly, as it were). 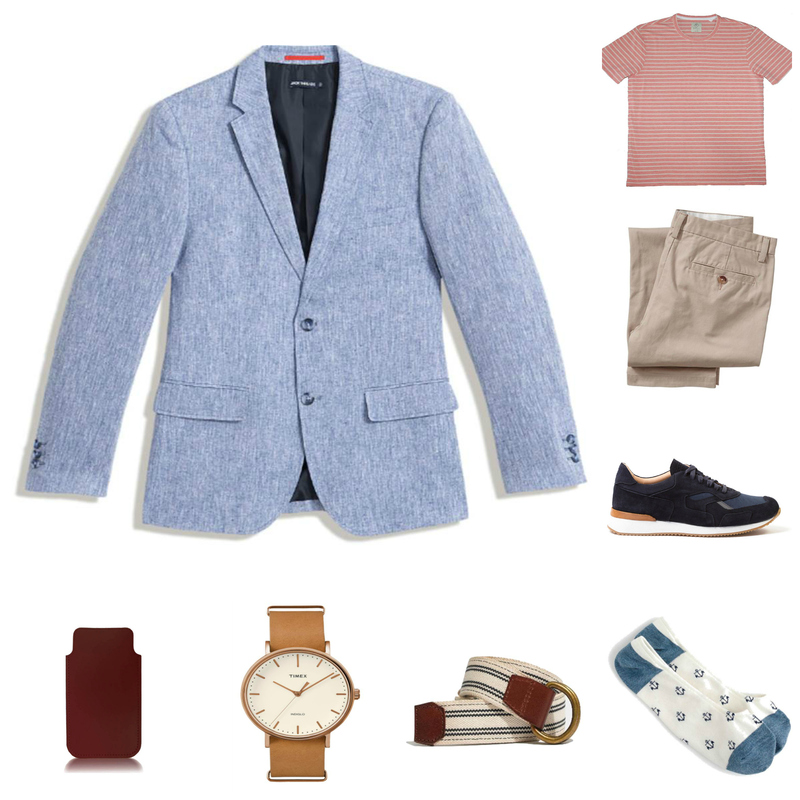 The below #OOTD incorporates a bit of everything, including chinos fit for travel — an upgrade over the sweats that some might be wearing — and a navy blue blazer that can go anywhere and do anything. 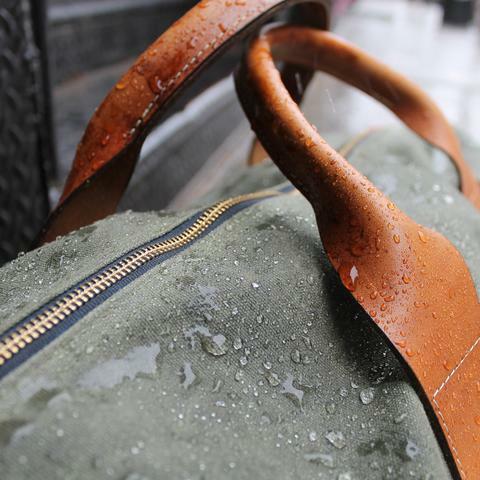 Add in accessories fit for your everyday carry as well as a long day on the road, and you should be set. Got questions or comments? Hit me up on The Style Guide Facebook page. To see what I’m taking as I travel, follow me on Instagram — and we’ll see you on the open road! Taking a traditional travel outfit and upgrading it with slim fits and go-anywhere essentials. The Chinos: Apolis Civilian Travel Chino, $138: A staple of any great outfit, these cotton chinos should be comfortable for flying and look a heck of a lot better than what your seatmate might be wearing (it’s all in the name, right?). Plus, they can go from the plane to a meeting to dinner — or just from the plane to a bar, your call. The Shirt: Bourbon and Blue Beachcomber Shirt in Blue Chambray, $89: Here’s an easy style hack — stay cool yet look sharp by ditching the sleeves of your classic chambray shirt in favor of something cut slimmer and sharper. The Shoreline Check fabric from this upstart brand should add nice visual interest, too. The Jacket: Grayers Cayman Blazer in Navy, $175: A knit blazer that ditches the traditional trappings of a jacket — AKA, no construction here to speak of — should fit sharply and stylishly over that crisp chambray shirt. The Shoes: Soul36 The Grant Derby in Brown Nubuck, $195: A new take on the derby shoe, these brown nubuck shoes are made with a clean look in mind; the red-brick sole should offer a refined bit of contrast beneath the grey chinos. The Socks: American Trench Summer Footies, $13.50: Because you’re going to want a nice, clean finishing touch beneath those rolled chinos, reach for durable, comfortable, American-made socks. The Belt: J. Crew Classic Buckle Belt, $45: Sometimes, you don’t need an overly fancy belt — just a reliable classic that goes with your best business-casual or your best summer wedding look. 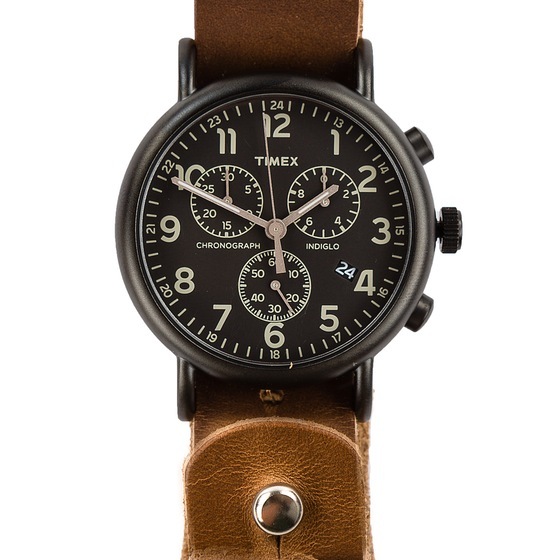 The Watch: Timex The Waterbury, $95: Part of Timex’s revamped line of heritage-inspired classics, the Waterbury is a reliable watch that’ll pair just fine with this outfit — or with a polo and chinos later on. The Travel Companion: Jack + Mulligan Passport Wallet in Brown, $74.99: If you’re jetting overseas, this piece could be especially useful and stylish. But even if you’re only hopping on a train an hour or two away, this piece could still work reliably well when it comes to carrying a notebook. As with many style upgrades, dressing for travel comes down to assessing what you’ve got, then pairing it up in ways customized to the situation. So a short-sleeve chambray shirt and a knit blazer are going to be lightweight, comfortable and reliably stylish options whether traveling for business or pleasure. And some eye-catching brown nubuck shoes cap off the outfit o in a way that works for multiple situations. Plus, a dependable Timex watch can go just about anywhere, as can comfortable no-show socks. If it gets hot out, ditch the blazer — and if you still need it as the trip goes on, be sure to store it in a stylish weekender bag. If you’ve got questions on how to dress for summer travel, hit me up on Twitter. Check back tomorrow for a neat reader giveaway opportunity that might just help you when you hit the road next time.